NiSUS Technologies First Annual Golf Tournament! 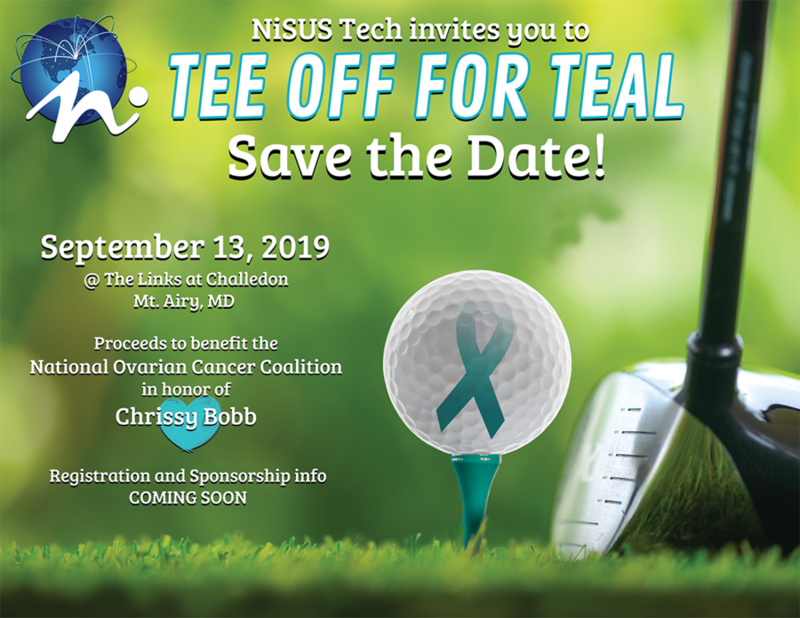 On September 13th of 2019, NiSUS Technologies will be hosting our very first golf tournament. The proceeds will go towards the NOCC in honor of our Christina Bobb who passed away in 2018. Please stay tuned for more information on registration and sponsoring. We hope to See You Next Teal day!